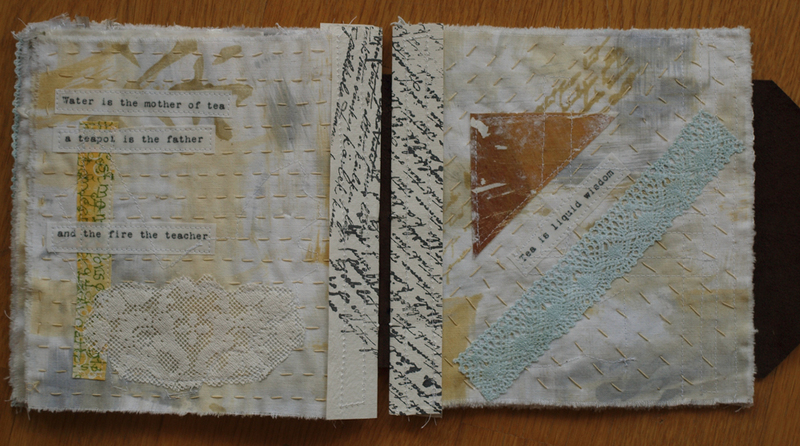 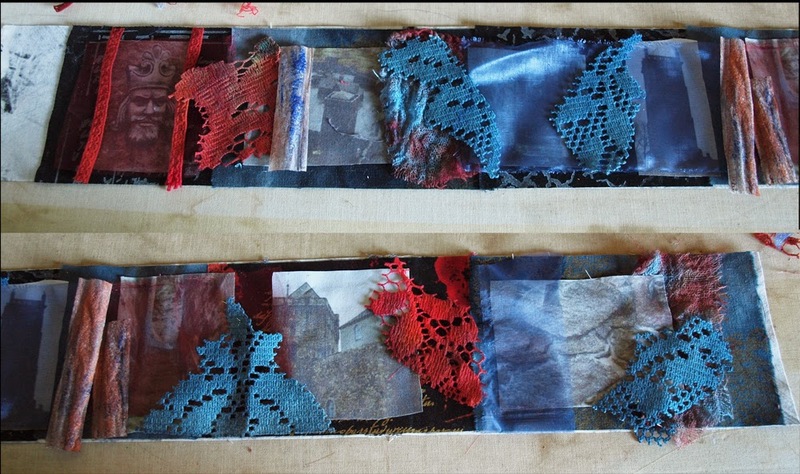 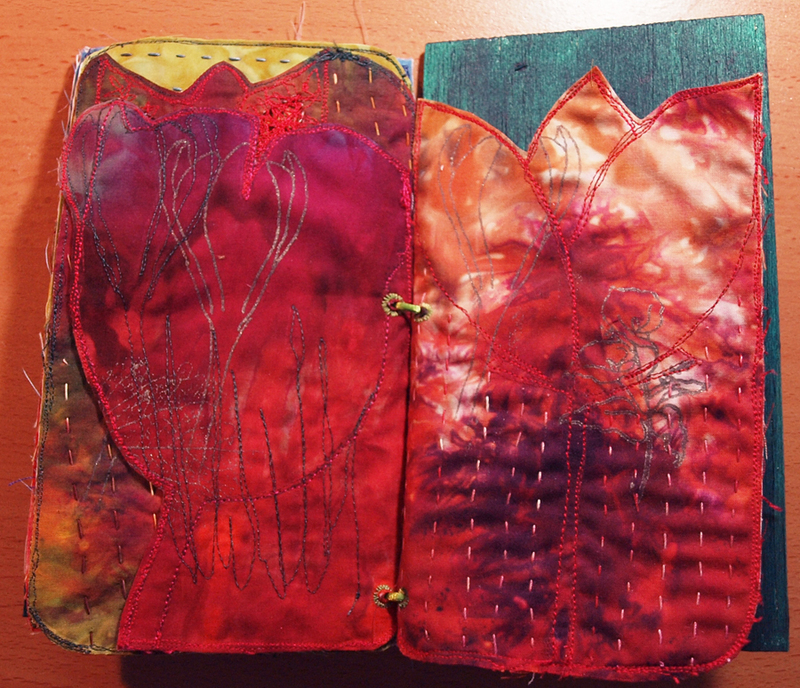 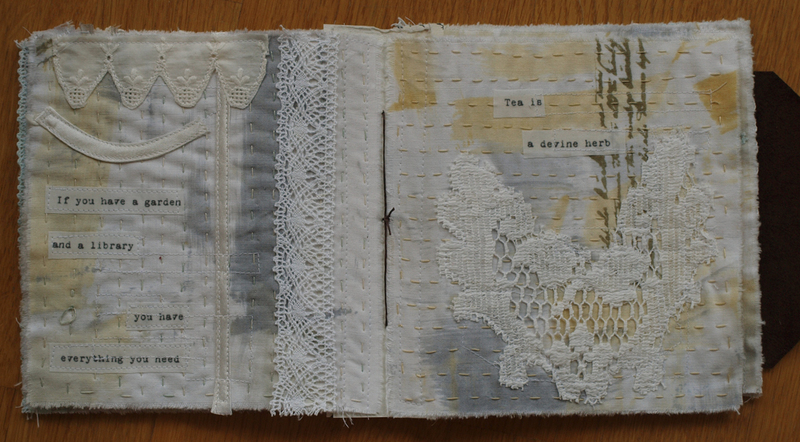 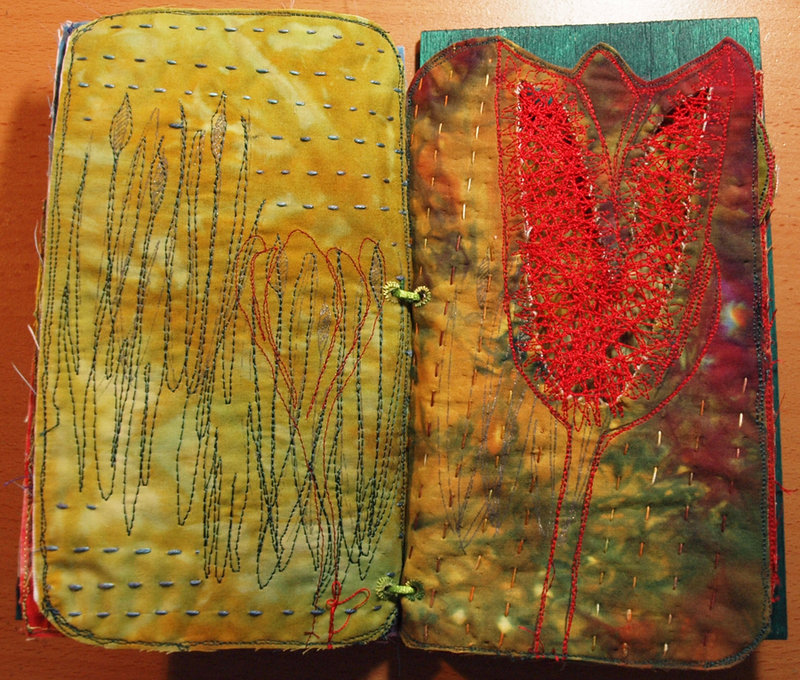 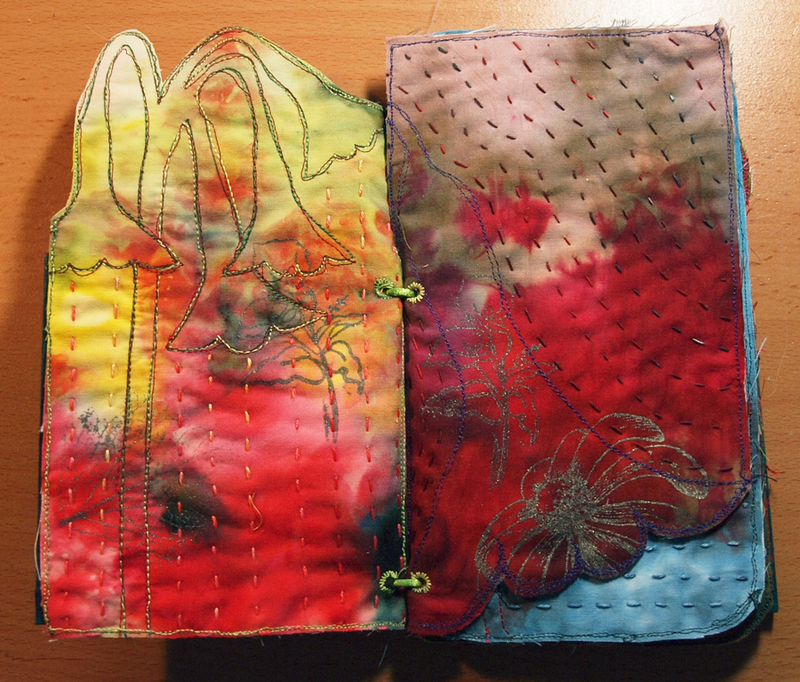 Here are two more of my textile books for Ineke Berlyn’s course. 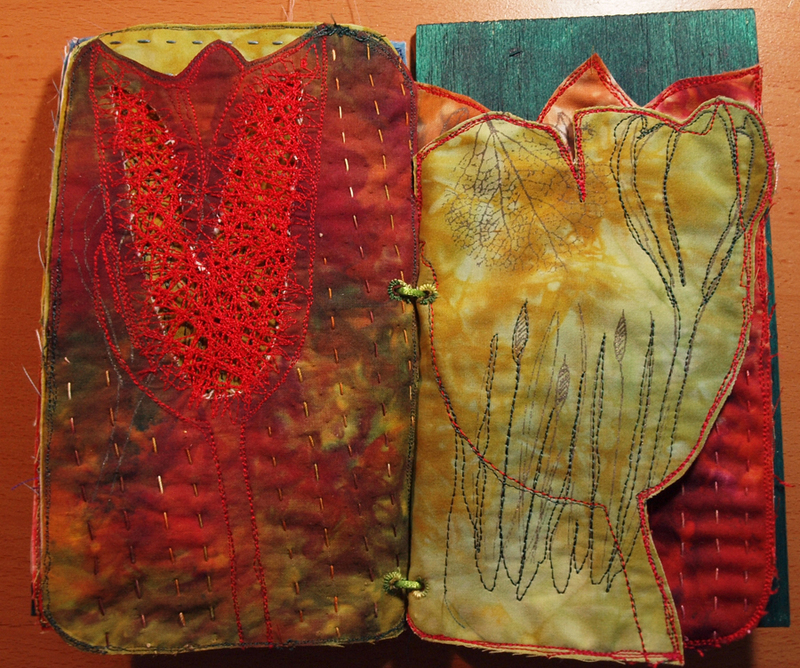 I’ve had so much fun making them. 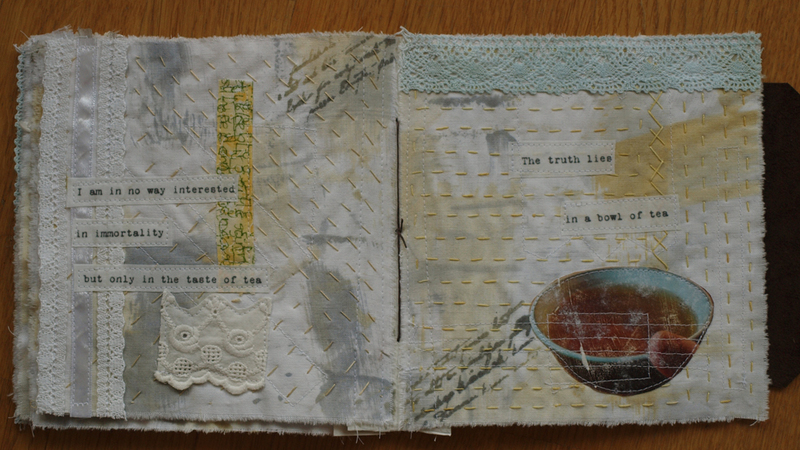 This first is my version of Book of Tea. 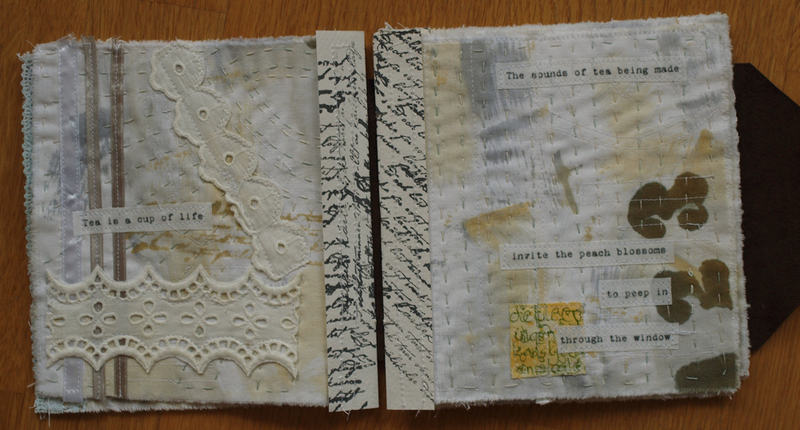 Filled with quotes about tea, laces and stitching. 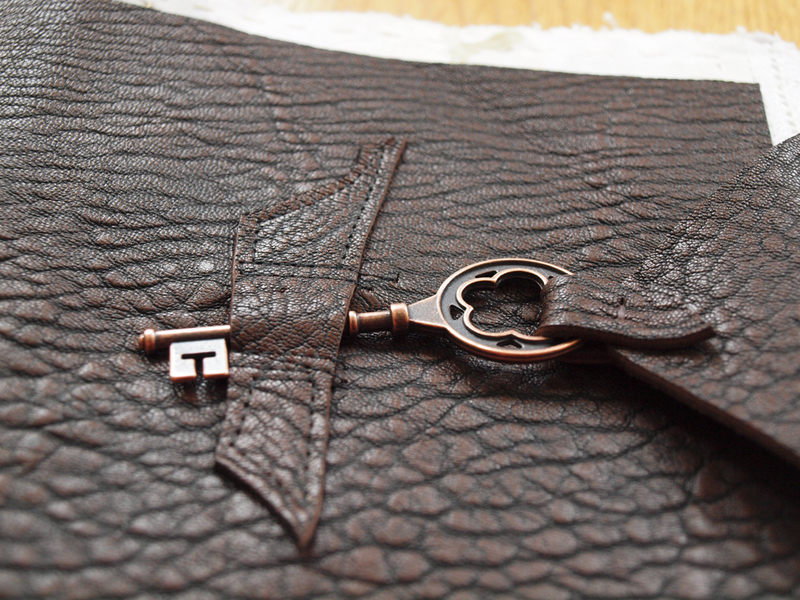 With leather cover and closed with a key. 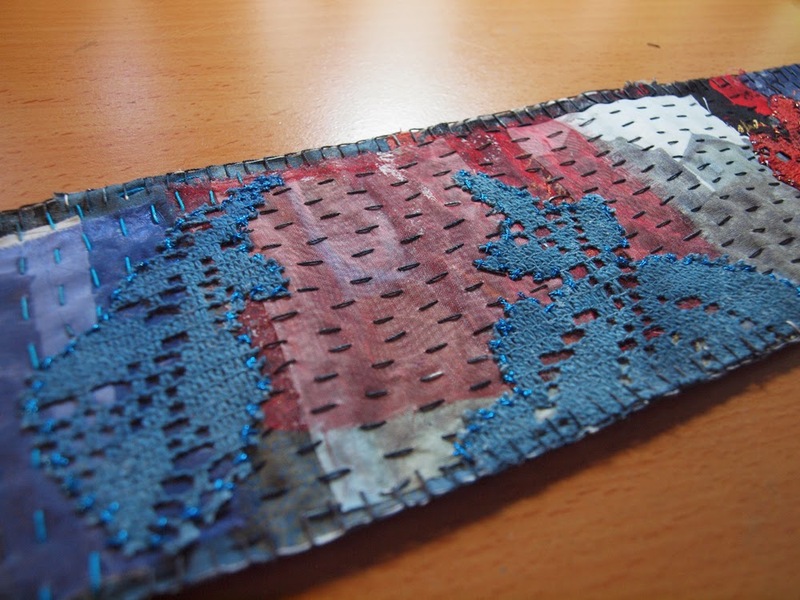 thread I used for hand-stitching. 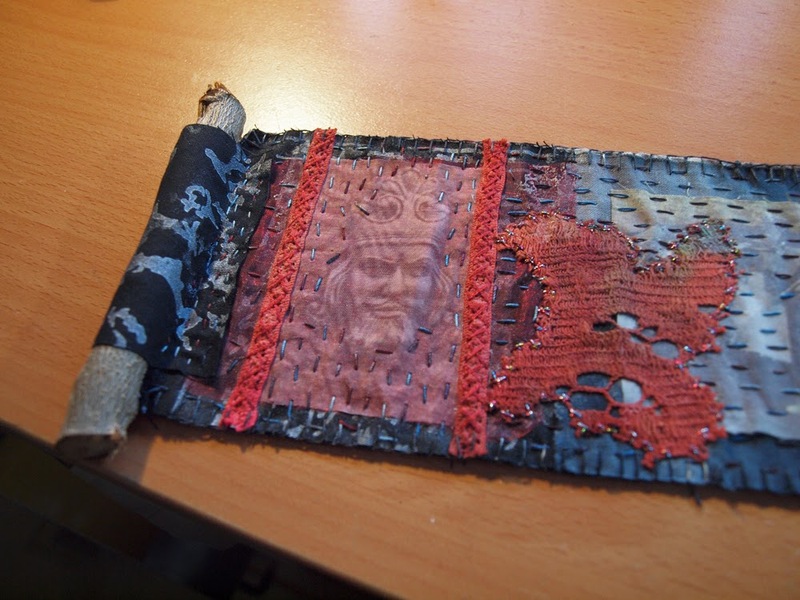 It is based on my fascination for Medieval Norway, and the king you see at the start of the scroll, Magnus VI Haakonsson, king of Norway 1263-1280. Among other things, he buildt the two structures you can get a glimpse of, in Bergen and Tunsberg. 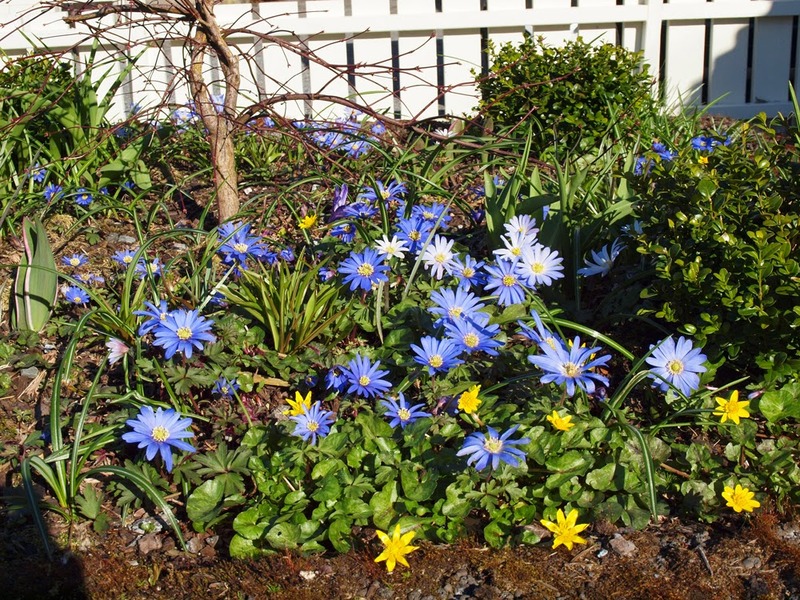 But most of all he collected the different laws in Norway into one, «Landsloven av 1274», parts of which exists in our present legislation. 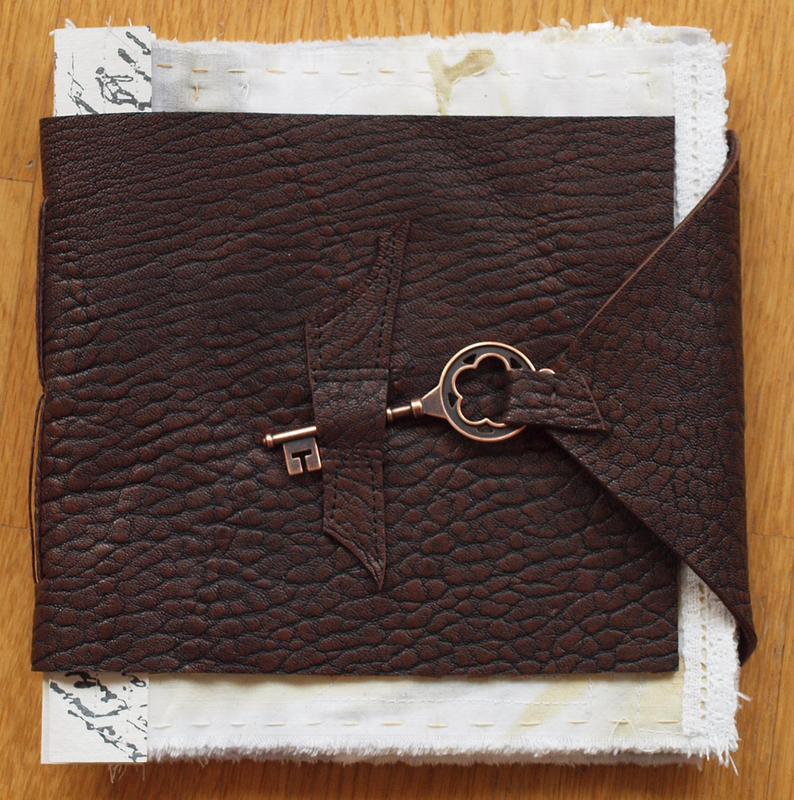 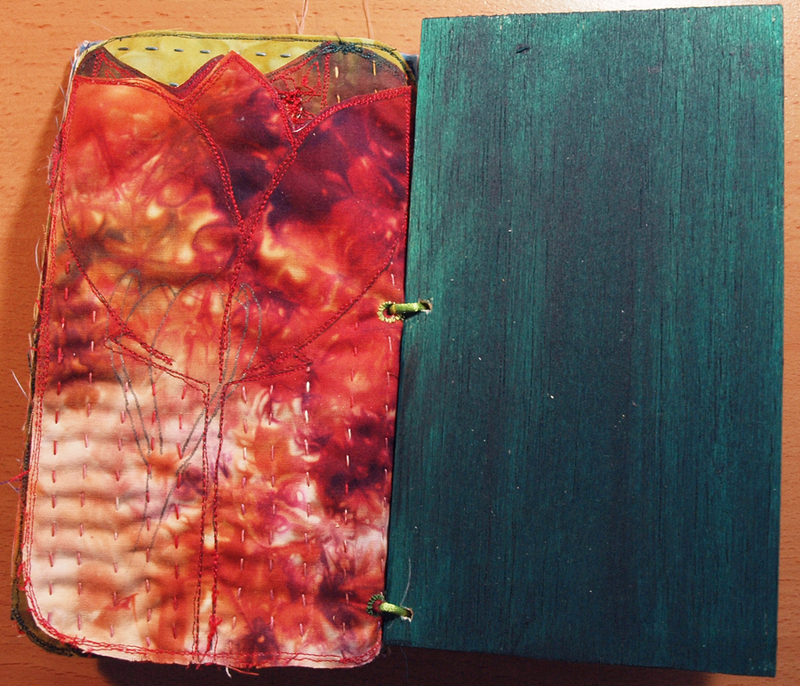 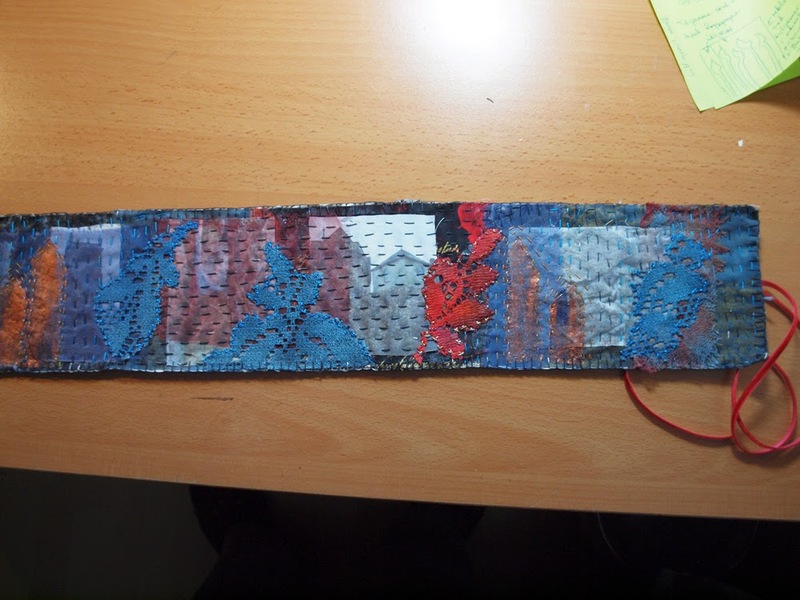 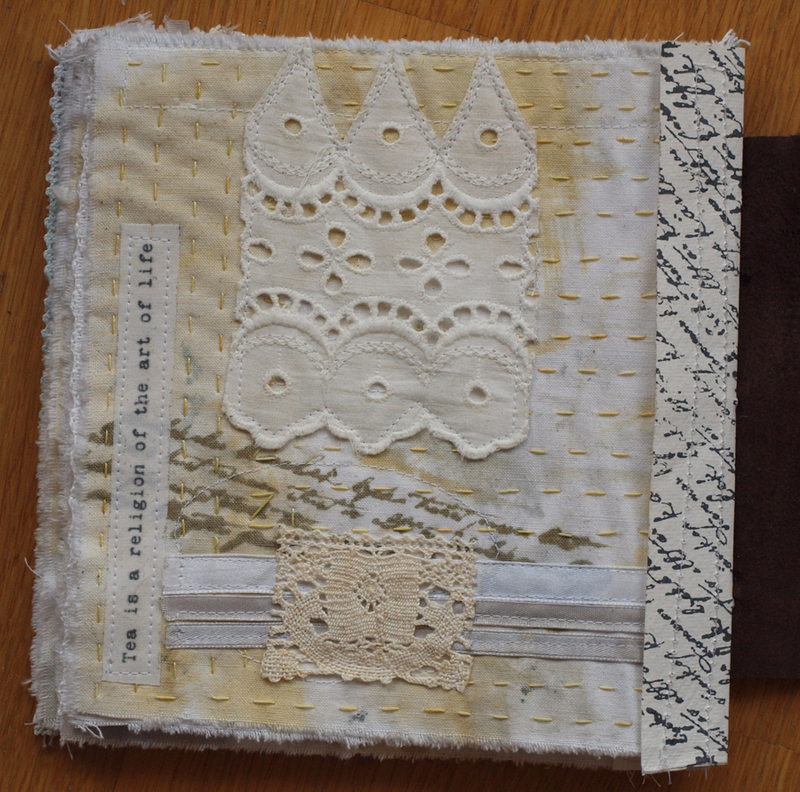 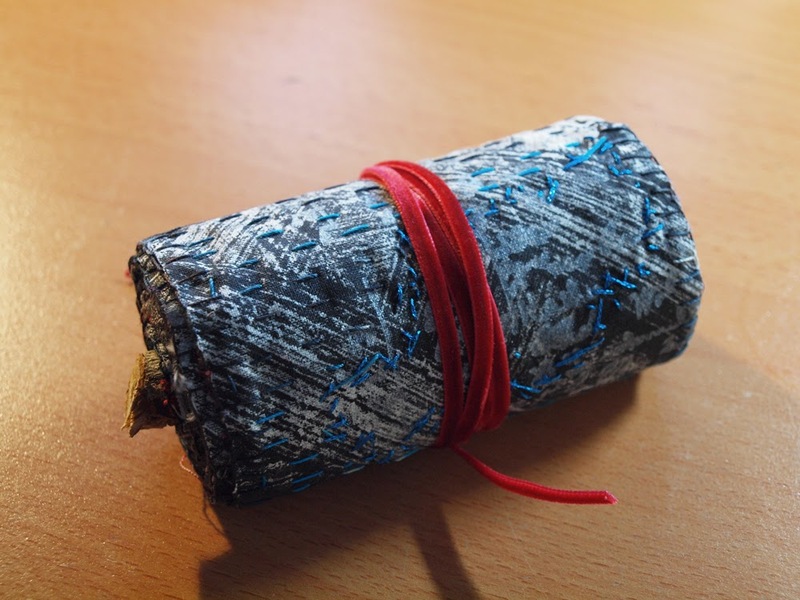 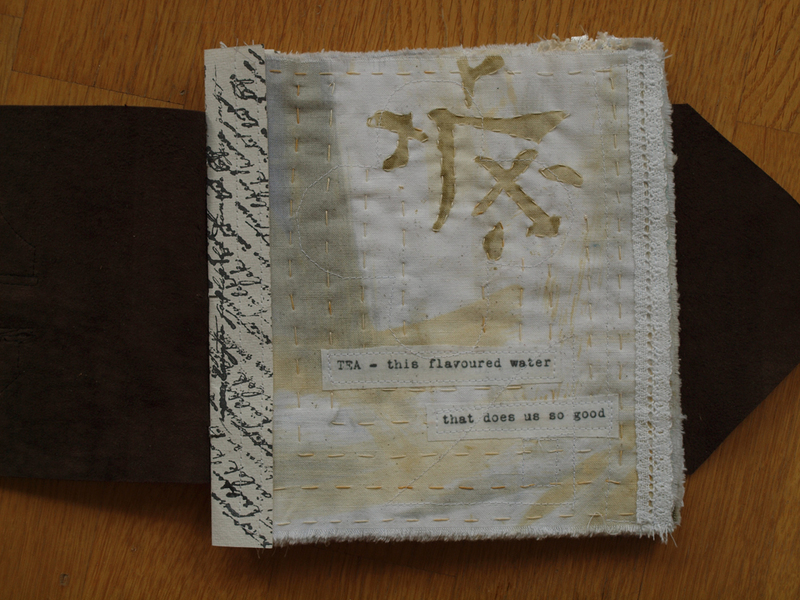 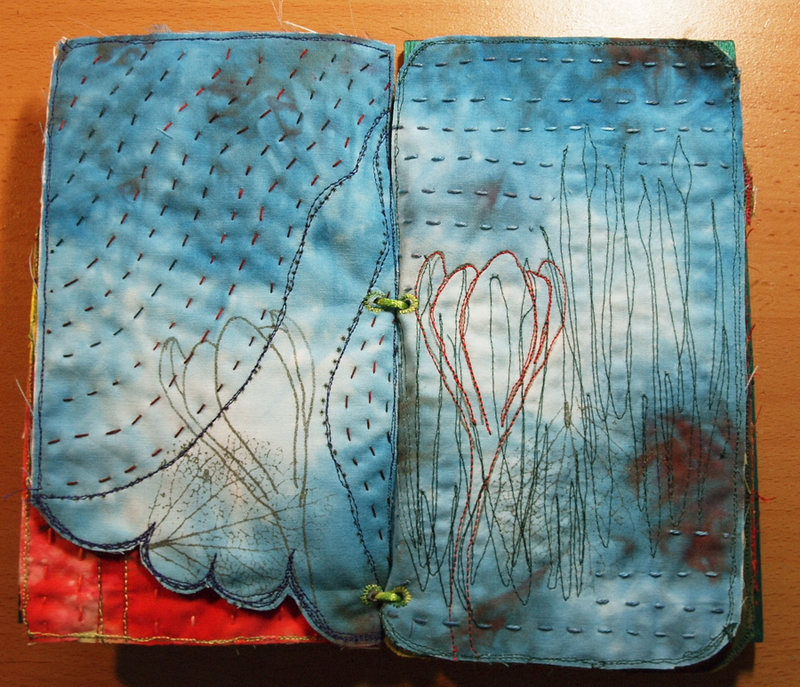 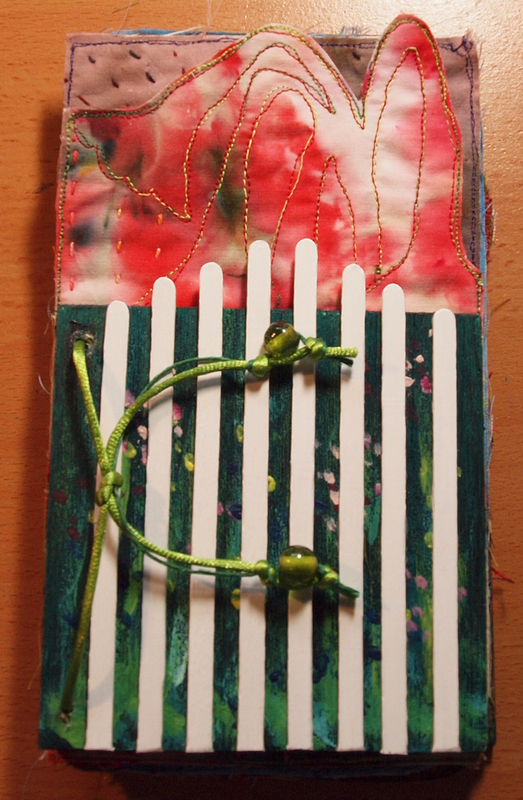 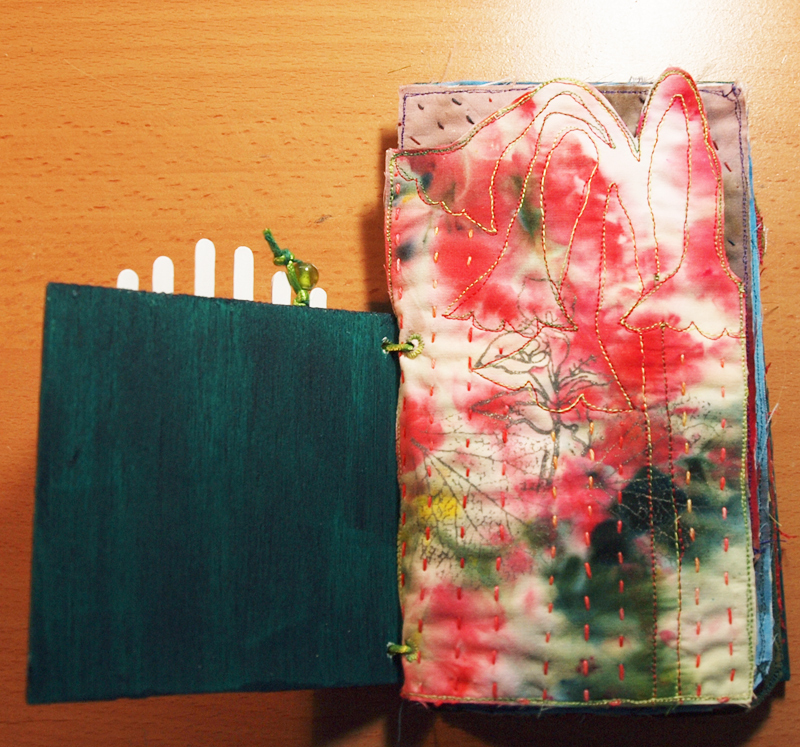 I have also finished another textile book for Ineke Berlyn, which I will show you next time.